Stephen Hawking is widely believed to be one of the worlds greatest minds: a brilliant theoretical physicist whose work helped to reconfigure models of the universe and to redefine whats in it. Imagine sitting in a room listening to Hawking discuss these achievements and place them in historical context. It would be like hearing Christopher Columbus on the New World.Hawking presents a series of seven lec-turescovering everything from big bang to black holes to string theorythat capture not only the brilliance of Hawkings mind but his characteristic wit as well. 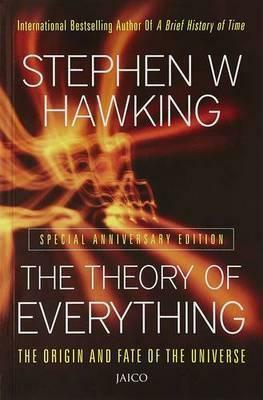 Of his research on black holes, which absorbed him for more than a decade, he says, It might seem a bit like looking for a black cat in a coal cellar. Hawking begins with a history of ideas about the universe, from Aristotles determination that the Earth is round to Hubbles discovery, over 2000 years later, that the universe is expanding. Using that as a launching pad, he explores the reaches of modern physics, including theories on the origin of the universe (e.g., the big bang), the nature of black holes, and space-time.